Hair loss is common among both men and women. 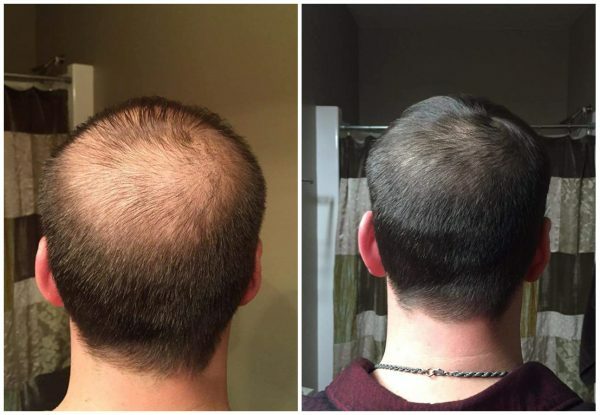 For men, hair loss can begin as soon as their early 20s. Women’s hormone changes and aging can cause minor to significant hair loss. PRP (platelet-rich plasma) is a state-of-the-art, nonsurgical, alternative medical procedure that treats hair loss or hair thinning. PRP yields naturally beautiful and, above all, touchable results. Please keep in mind that each patient is unique and your results may vary. A patient’s blood is drawn in clinic and then spun down to get the PRP. The PRP is then injected, with very small needles, in the desired area of hair loss. A quick massage of the treated areas ensures adequate coverage. The procedure can be uncomfortable. Altaire utilizes topical numbing to help ease the pain. The option for Pro-nox (nitrous) is also available if additional pain control is requested. This procedure takes approximately 30 minutes to ensure adequate time for numbing. No, a person may go back to normal activities immediately after the procedure. How quickly will I notice my results? It will take 3-5 months to notice the results of the PRP injections. Hair takes time to grow. Typically, it is recommended to do 3-5 treatments, spaced one month apart. Maintenance may be needed in the future, especially if there are hormone changes. What can I do at home in between treatments? Biotin is an OTC supplement that is recommended to help with hair growth. Other prescriptive options are available from your Altaire provider to help stop the hair loss and help enhance the growth. Ask your Altaire provider today to get started.